22 people have been confirmed dead and around 120 others are injured following reports of multiple explosions after an Ariana Grande concert in Manchester in the North of England on Monday Evening. Greater Manchester Police originally said there had been a “number of fatalities and others injured” at the Manchester Arena, where Grammy-nominated pop singer Ariana Grande was performing. Nineteen people were confirmed dead as of 8pm EST. Chief Constable Ian Hopkins has confirmed the man suspected of carrying out last night’s attack was 22-year-old Salman Abedi. Eyewitness accounts posted to social media show convoys of ambulances moving to the centre of Manchester as thousands of music fans fled the Manchester Evening News Arena. Ms. Rudd disclosed on Sky News that Salman Abedi was known “up to a point” to intelligence services. She also warned it seemed “likely” Abedi “was not doing this on his own”. Following the terror threat level being raised to its highest rating, critical, London’s Metropolitan police confirmed the military will be working under the police and deployed as armed guards across key locations in London. “It is a possibility that we cannot ignore that there is a wider group of individuals linked to this attack,” said May. “Operation Temperer is now in force,” May stated. Operation Temperer is a plan formulated after the Paris massacre, once considered secret by the British government, that could put up to 5,000 soldiers on the streets in the event of a major terrorist attack. May specifically stated that initiating Operation Temperer meant the protection of key sites would be handed over to military personnel instead of the police, freeing up police officers for other duties. Singer Morrissey, who hails from Manchester and was celebrating his birthday in town when news of the bomb attack broke, wrote a furious Facebook post in which he excoriated British politicians for leaving the people at risk while they enjoy security protection. Theresa May says such attacks “will not break us”, but her own life is lived in a bullet-proof bubble, and she evidently does not need to identify any young people today in Manchester morgues. Also, “will not break us” means that the tragedy will not break her, or her policies on immigration. The young people of Manchester are already broken – thanks all the same, Theresa. Sadiq Khan says “London is united with Manchester”, but he does not condemn Islamic State – who have claimed responsibility for the bomb. The Queen receives absurd praise for her ‘strong words’ against the attack, yet she does not cancel today’s garden party at Buckingham Palace – for which no criticism is allowed in the Britain of free press. Manchester mayor Andy Burnham says the attack is the work of an “extremist”. An extreme what? An extreme rabbit? In modern Britain, everyone seems petrified to officially say what we all say in private. Politicians tell us they are unafraid, but they are never the victims. How easy to be unafraid when one is protected from the line of fire. The people have no such protections. The Sun reports that police “swooped on a suspected knifeman armed with a baseball bat in Birmingham as a vigil was being held for victims of the Manchester terror attack.” A witness reported “loud shouting” and armed police officers announcing a security alert. The team is scheduled to play in the Europa League final on Wednesday. “We are all very sad about the tragic events last night; we cannot take out of our minds and our hearts the victims and their families. We have a job to do and we will fly to Sweden to do that job. It is a pity we cannot fly with the happiness that we always have before a big game. I know, even during my short time here, that the people of Manchester will pull together as one,” said team manager Jose Mourinho. “Can I start by once again passing on our heartfelt sympathies to all the innocent people caught up in last night’s despicable act. “We now have a team of specially-trained Family Liaison Officers who are supporting families. 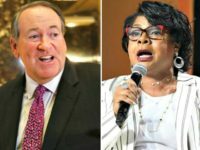 “There has been much speculation and names of those who may have been killed in the media and social media. We accept that this is inevitable however we ask that people allow the police and coroner to release the names once the families are ready and appropriately supported. “We understand that feelings are very raw right now and people are bound to be looking for answers. However, now, more than ever, it is vital that our diverse communities in Greater Manchester stand together and do not tolerate hate. “We have been visited by the Prime Minster and Home Secretary and we have taken them through the emergency response so far and what we plan to do in future days. 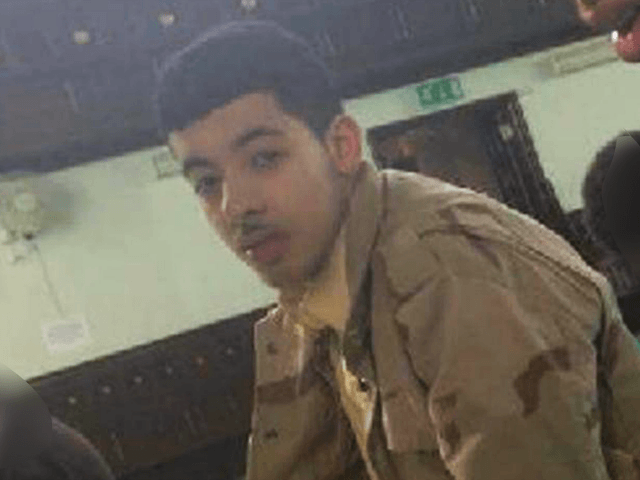 The AP news agency has confirmed previous reports over the identity of the Manchester attacker, saying British authorities had named him as Libyan origin British citizen 23-year-old Salman Abedi. CBS reports the suicide bomber who killed 22 on Monday evening was 23-year-old Salman Abedi, who they report was “known to British authorities” prior to the attack. If this is so, Abedi would be the man the Islamic State claimed as a “soldier of the Khaliph” on Tuesday. Abedi is distinct from another 23 year old man arrested as a suspect in Manchester Tuesday morning. The NBS network has published a similar claim, but stated the killer’s name was spelt slightly differently as Salmon Ramadan Abedi. British police and the Prime Minister have said they have identified the attacker, but have not yet made the name public. There has been an update on the number injured, bringing the figure of 60 injuries in addition to the 22 fatalities up to 120. The reason for this change is the previous figure only counted those who were treated in hospital — paramedics also treated an additional 60 “walking wounded” on the scene last night as well. Many of those who were admitted to hospital last night remain there, some in “critical” condition, with a reported third of injured under the age of 16. 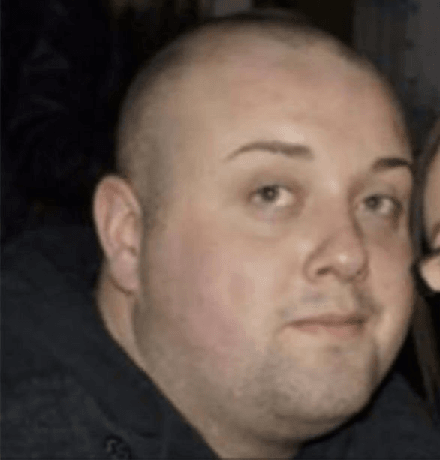 “Beautiful soul” 26-year-old John Atkinson has been named as the third victim of the Manchester attack. “There were about 20 armed officers in all black with machine guns. There were another 20 uniformed officers who were in the street. 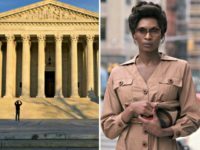 “There were also plain clothes officers who were also armed. The road was cordoned off, but there was no evacuation of the street”. The force subsequently confirmed there had been a “controlled explosion” at the property as part of the investigation. There have been others raids across the city Tuesday, including one near a supermarket where a witness reported possibly seeing “an Asian guy” being arrested. BREAKING: UK ambulance official: 12 children under age of 16 were among 59 injured in concert attack. Medical professionals speaking from Manchester Royal Infirmary have confirmed that following reports of the terror attack shortly after 10:30 pm Monday night, plans for responding to mass casualty events were put into action by the emergency and hospital services. At 10:46, a response was mounted and 60 vehicles were sent to the Manchester Arena with highly specialised crews who were able to stabilise patients at the scene before transporting 59 patients to local A&Es in the Greater Manchester area. Patients in need of surgery were sent straight to theatre without delay. There was also a number of walking wounded who were not transported by emergency services. 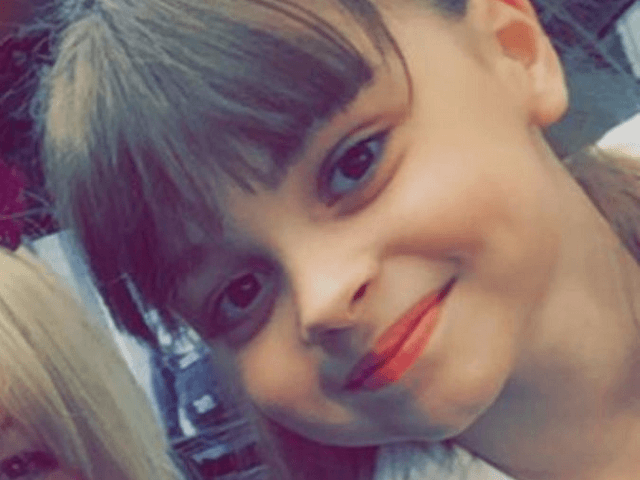 Eight-year-old Saffie Rose Roussos has been named as the second victim of the Manchester suicide bombing, reports the Guardian. The schoolgirl had been at the concert with her mother and sister, both of whom were taken to hospital last night for shrapnel injuries. The headmaster of Saffie’s school Tarleton Community primary school said in a statement to the paper: “Saffie was simply a beautiful little girl in every aspect of the word. She was loved by everyone and her warmth and kindness will be remembered fondly. Saffie was quiet and unassuming with a creative flair”. The Site Intelligence Group, a monitoring organisation which has access to the Islamic State’s media channels including the Amaq news agency has repoduced the English-language version of the Islamic State claim for responsibility for last night’s attack. Calling the Ariana Grande concert a “gathering of the Crusaders in the British city of Manchester… the shameless concert arena”, the release referred to the children at the show “worshippers of the cross” and the attacker “a soldier of the Khalifa”. What this claim means for the investigation is unclear. The Islamic State has claimed many terror attacks in Europe in recent years — an easy thing to do if the killer is already dead. It may be the case that while the Islamic State didn’t have advance warning of the attack the killer may have been inspired by Islamic State propaganda, and informed by Islamic State documents on bomb making and attacks as has been the case in the past. The Associated Press agency has reported the Islamic State group has claimed one of their members was responsible for last night’s attack. More follows. Greater Manchester Police have announced their first arrest following Monday night’s suicide bomb attack on the Arena music venue, who has been identified as a “23-year-old man in South Manchester”. The arrest comes after Manchester’s major Arndale shopping centre was evacuated late Tuesday morning. Hundreds of shoppers and staff were seen fleeing the area in tears. A man was arrested at the centre but Manchester Police said it was not “currently beleived to be connected to last night’s attacks”. The shopping centre was the site of a 1996 IRA terror attack which caused millions of pounds of damage to property, but caused no fatalities. In a statement by the prime minister following a meeting of the Government’s crisis response committee COBRA, Theresa May praised emergency and security services for their response and the generosity and strength of the people of Manchester. The prime minister confirmed there have been 22 fatalities and 59 people were injured, some with life-threatening conditions. “We now know a terrorist detonated his improvised explosive device near one of the exits of the venue, delivered at a time and place to cause maximum carnage and to kill indiscriminately at the end of a pop concert which was attended by many young families and groups of children. The prime minister will travel to Manchester to meet the chief constable of Greater Manchester Police Ian Hopkins, the mayor of Greater Manchester Andy Burnham, and members of the emergency services. Mrs. May will chair another meeting of COBRA later on Tuesday. United States President Donald Trump has condemend the “evil losers” who perpetrated the Manchester attack while speaking in Bethlehem. Get the full story from Breitbart Jerusalem. Britain is just fifteen full days away from the next general election, and campaigning has been suspended by all major parties out of respect for the dead following Manchester’s suicide bombing at the Manchester Arena. Read the full story at Breitbart London. The press pack are assembled outside 10 Downing Street, waiting on the Prime Minister who is expected to make a statement on last night’s suicide bombing, following her meeting with the ‘COBRA’ national security council this morning. Updates to come. 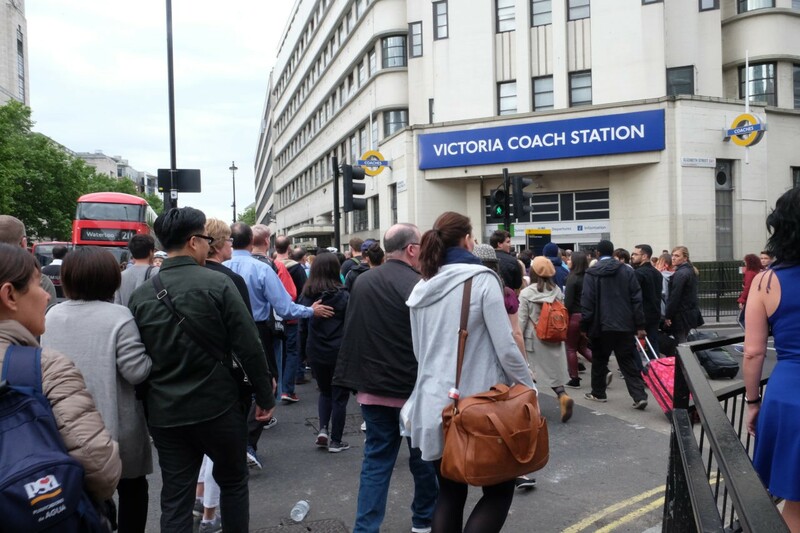 Victoria coach station, the main hub for coach travel in and out of the capital was evacuated this morning after a “suspicious package” was discovered, just hours after last night’s Manchester suicide bombing. 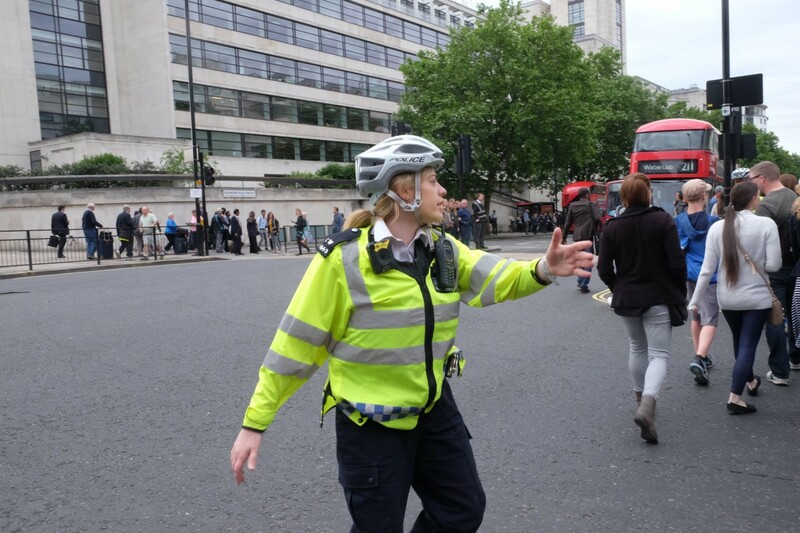 London’s Metropolitan Police told the public to stay clear of the area as they closed off nearby roads. The area was later declared safe as officers assessed the package to be non-threatening. 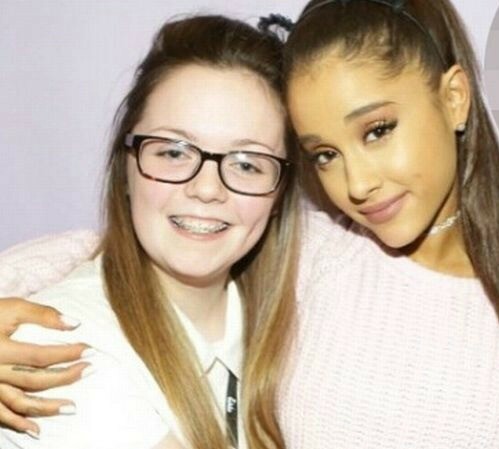 The first victim named following the terror attack at the Ariana Grande concert in Manchester Monday night has been confirmed as 18-year-old Georgina Callander. It is believed she was one of the first people rushed to hospital after the attack. According to a close friend, the teen died with her mother by her bedside in hospital. On Sunday, she had tweeted that she was “so excited” to see Ariana Grande who she was pictured with two years ago. Friends of Georgina described her as “a beautiful girl with the kindest heart and soul”. UPDATE 22:37 EST — North West Ambulance Service has released an update on the casualties of the attack. The ambulance service has said that there still remain 19 fatalities and the number of injured has increased to 59. UPDATE 22:08 EST — Greater Manchester police confirm 19 dead, 50 injured at 6 hospitals and call incident a terror attack. Chief Constable Ian Hopkins gave a brief press conference confirming the number of victims and said the incident is being investigated as terrorism. Hopkins said for people to avoid the area as emergency workers are still working at the scene. UPDATE 21:55 EST — Witness claims there was a total lack of security at the concert. Eyewitness Chris Pawley appeared on Tucker Carlson on Fox News this evening and said that there was very little security at the Arianna Grande concert. “I’ve been to concerts before and sometimes you get patted down, or have to empty your pockets. There was absolutely nothing at this concert tonight,” he said. UPDATE 21:31 EST — Dr Sebastian Gorka noted the attack occurred on the anniversary of the killing of soldier Lee Rigby. Dr Gorka, an adviser to U.S. President Donald Trump, tweeted that the attack occurred on the same day as Rigby’s murder, which took place four years ago. “Dates matter to jihadi terrorists,” he wrote. NOTE: Manchester explosion happens on 4th anniversary of the public murder of Fusilier Lee Rigby. UPDATE 21:26 EST — UK Prime Minister Theresa May has issued a statement on the attack. Initial signs point to a suicide bomber as the cause of a blast at a music venue in Manchester, England, that killed 19 people and injured 50, two U.S. officials who spoke on condition of anonymity said on Monday. UPDATE 20:59 EST — Further eyewitness reports suggest a “nail bomb” may have been used. Gary Walker, who was at the show with his wife and two daughters, told the New York Times he “heard a massive bang and saw a flash”. UPDATE 20:56 EST — Nigel Farage tells Breitbart London: “We have literally not even debated immigration let alone security so far in this election. All the reasons people voted for Brexit have been airbrushed from the debate”. The Brexit leader was keen to stress how there has not yet been a motive or suspect confirmed, and how the last nail bomb in the United Kingdom was used by an “anti-gay” Neo Nazi. He stated his belief, however, that Labour leader Jeremy Corbyn — who is perceived as soft on terrorism and security issues — would be the most likely to suffer politically ahead of the UK General Election on June 8. UPDATE 20:44 — Former UK Independence Party leader Nigel Farage has told Fox News this is a “new low”, in the sense that the explosions appear to have targeted children. It is worth noting that while Greater Manchester Police are keeping terrorism high on the agenda in terms of assessing this attack, it has not yet been confirmed. CBS News confirms there were two explosions at the Ariana Grande concert in Manchester, Englad – the devices contained nails. UPDATE 19:48 — Eyewitness Kiara Dawber has told CNN: “There as a massive, massive explosion, a bang, there as smoke coming up through the steps. Everyone was screaming and shouting… it could be a bomb, people were screaming for their kids…. there were bodies scattered about everywhere… we were just running through the road… it was just chaos… you could see people were just dead… passed away… there was a lot of blood”. “The lights came on after the gig and people were starting to leave. As I turned to the left there was an explosion. It was about 40ft behind us near one of the exits. We just thought it was people messing about then it happened again. Another explosion sounded. “Then we saw the smoke. Everyone just fled. Some people were injured. We saw blood on people when we got outside. People were just running all over the place. UPDATE 19:24 EST — Bomb disposal units have been seen entering the area around the arena. Greater Manchester Police and the local NHS trust confirmed they had responded to a “serious incident” at the Manchester Arena, and urged members of the public to stay clear of the area. 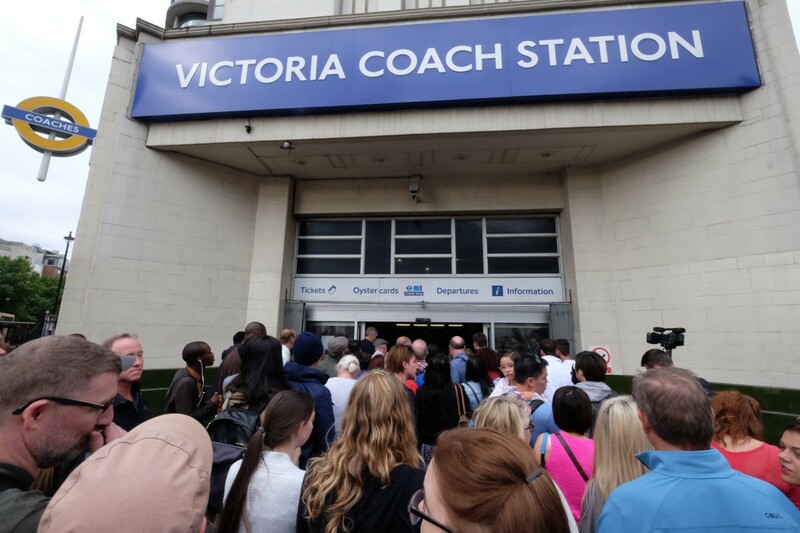 Manchester’s Victoria railway station has been evacuated and all lines closed — both mainline services and local Metrolink trams. National Rail said in a statement that “Disruption is expected to continue until the end of the day”. Eyewitness Andy Holey told the BBC he saw “several bodies”. He said the explosion was near the ticket office and he was blown off his feet by the blast, while another eyewitness, Ivo Delgado told CNN he heard “a big bang and little ones”. The Manchester Evening News reports “two loud bangs” in the vicinity of the Manchester Arena. Video posted to social media platform Twitter shows the moments after the event in the arena, and in which the sounds of screams and panic are clear.